One of our Inflatable garments, which inflate to change shape or function. The Inflatable Hips Dress (Reclaim) deploys two large silicone inflatable balloons placed at the hips, which can be inflated with a portable bottle of compressed air in order to increase the amount of personal space available to the wearer. 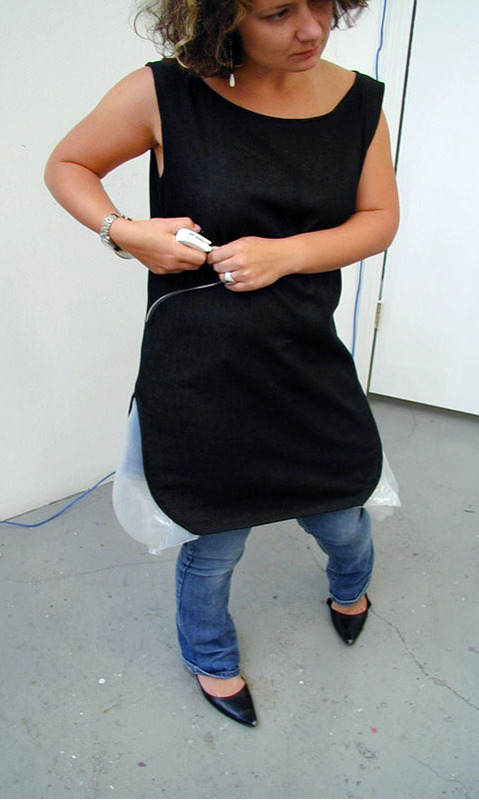 In a crowded situation, or in a situation where more personal privacy is required, the dress can be inflated to create a (personal) physical buffer between the wearer and public space.